Through cropping area, Tabanan, to the north, Pura Luhur Batukau is located on the slope of Mount Batukau, which is the second highest mountain in Bali. 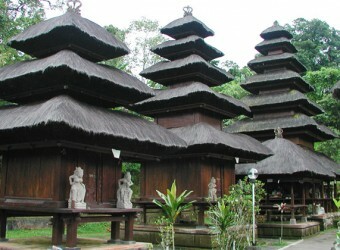 The temple is counted as one of the six traditional temples of Bali. Ruin road, outmoded wall, and village people worshiping with offerings… There are 6 Meru, as well as shrines for Bratan, Tamblingan and Buyan lake. It took 2 hours from the hotel in Nusa Dua to reach this place. No one here, very quiet. This temple is located on the slope of Mount Batukau. There were many people who prayed!! Super Market in Semiynak Bintang Super Market is a huge super market with has star mark located on Jalan Raya Seminyak.